Our Vision is a Sri Lanka where every child has equal opportunities. Our Mission is to identify and overcome barriers to equal opportunities for children in Sri Lanka through education and social enrichment, sharing friendship, hope and joy. 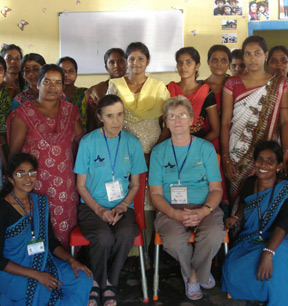 Ocean Stars Trust (OST) was established in 2005 following the Boxing Day tsunami of 2004. Working directly with the Sri Lankan people, OST prides itself in the close support that it provides to beneficiaries and ensuring that the desired benefits have been achieved. The Trustees and staff of Ocean Stars Trust have developed a 'Theory of Change' to better inform the work of the Charity and understand how it is progressing towards the vision of 'a Sri Lanka where every child has equal opportunities.' We have been looking at our activities and interventions and, through our Theory of Change, have mapped our short, medium and long-term outcomes of our work. This process has led to better planning and better evaluation as we are able to use our limited resources in the most beneficial way and measure progress towards our Vision of a Sri Lanka where every child has equal opportunities. We welcome feedback on our TOC and invite further discussion.